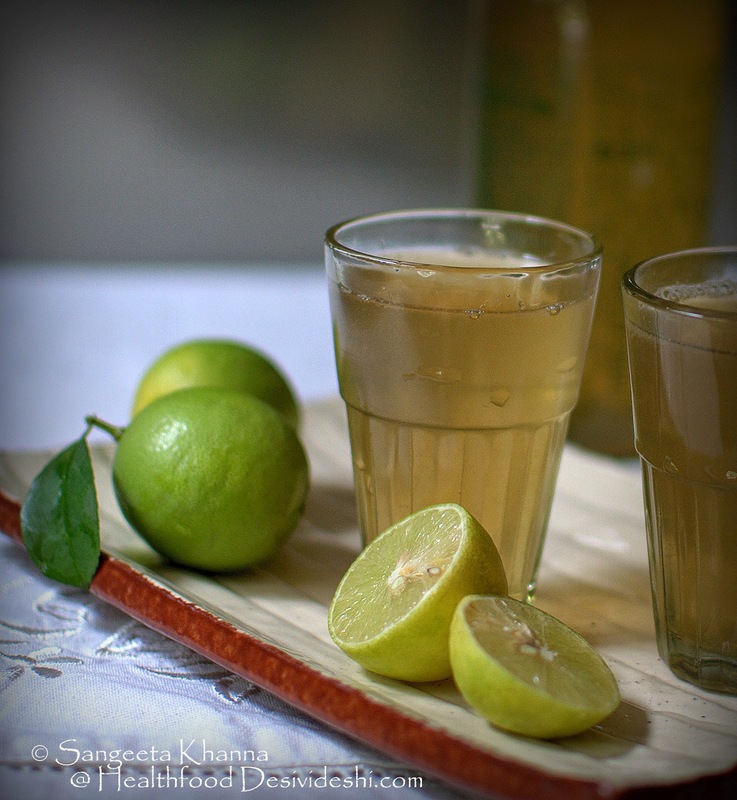 I had the best ganne ka ras recently and it was redolent with flavours of tulsi (holy Basil) and a bit of ginger. Thick pure sugarcane juice is a rare thing to come by and I took another helping at Masala Art, Taj Palace Hotel when I was there to taste their menu around Temple cuisines of India. Nothing can be better than ganne ka ras I though, I could skip having any temple food for this. 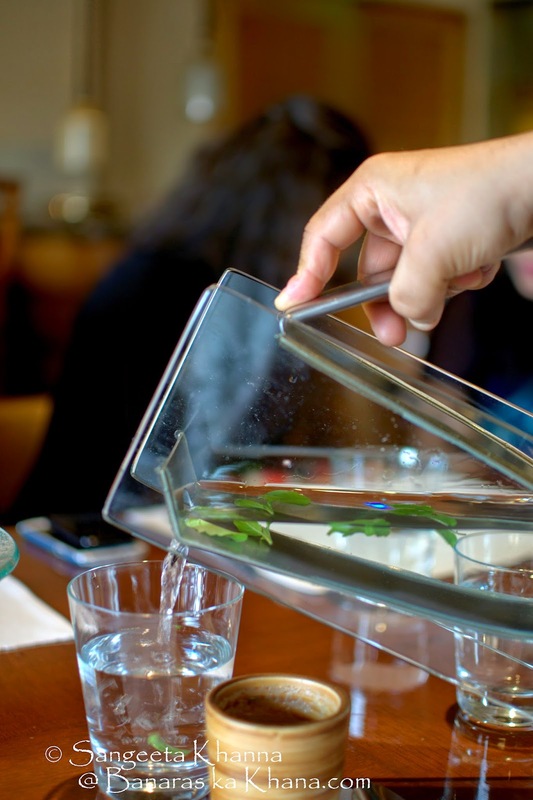 But then this tulsi infused water was more fun and I needed it. 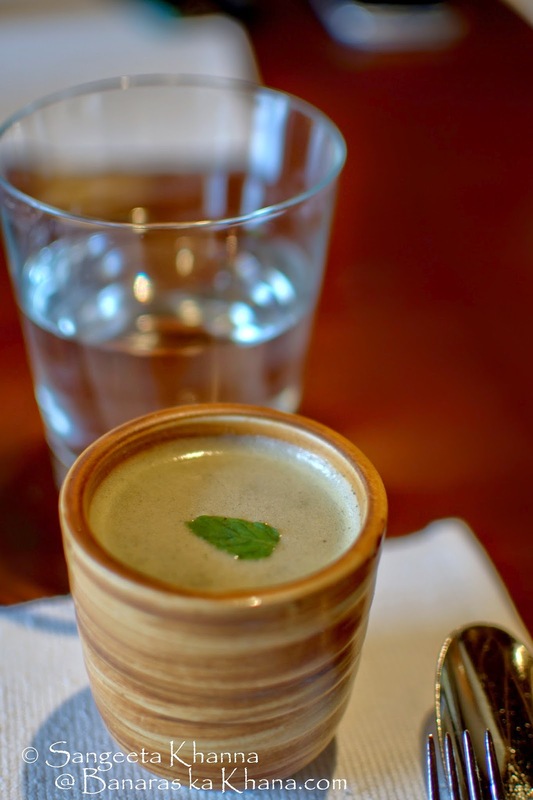 I had a throat infection and was anyway having a lot of ginger and tulsi infusion at home. Cold water with tulsi felt nice and comforting. I loved the way they made us wash our hands in a brass urli. Purity while eating is after all a temple ritual. And then my thali arrived that was a Bengali pujo thali, having all items of bhog in it. I dogged into the khichdi first, just couldn't resist as I have been missing the puja khichdi since my days in Dhanbad. And the khichdi took me back to the pujo days. Exactly the same taste with lightly fired cauliflower florets added in the cooked khichdi. I liked everything else in this Bengali thali, the shukto, the chorchori, the potoler dalna and chholar daal. The slice of gondhoraj lebu not to be missed. Kheer was good if not excellent. I have had better bong kheer. 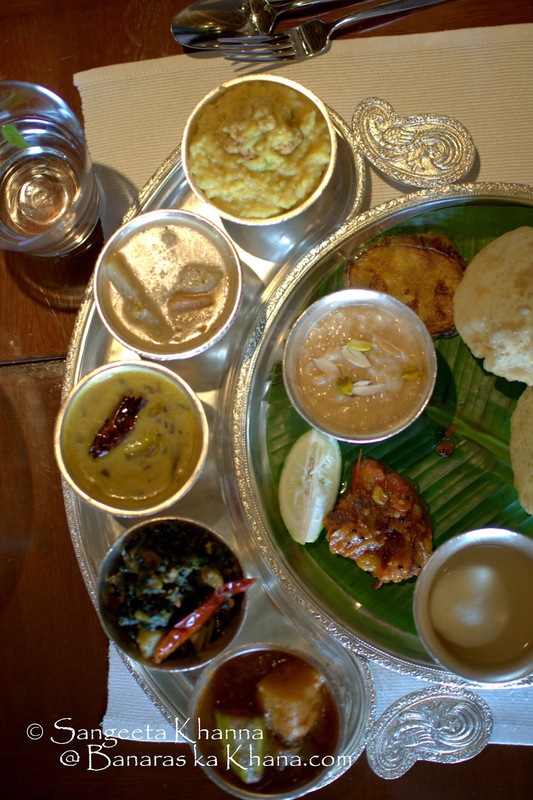 They have introduced Temple bhog thalis from all 4 corners of India and I tasted bits form the south Indian thali, the Western thali (Gujrati) and the Punjabi thali. I loved the Gujrati khichdi too and not just for my love of all things khichdi but it was really well done. I wouldn't care for the meethi kadhi or khatte mithe alu but the sukhdi in Guju thali was superb. I tasted a few things from the south Indian thali too. Loved the rasam but sundal and pulihora was dull, a bit too dry for my taste. Here is the Punjabi thali which had the chhole, daal makhni, tari wale alu etc and everything was done right. Chhole a bit too tart but it is a personal choice. What I loved the most was atte ka halwa that was made just like home. I have never tasted such good atte ka halwa apart from my own home. Kudos to the team to attempt this atte ka halwa for a menu, it is not easy to pull off. 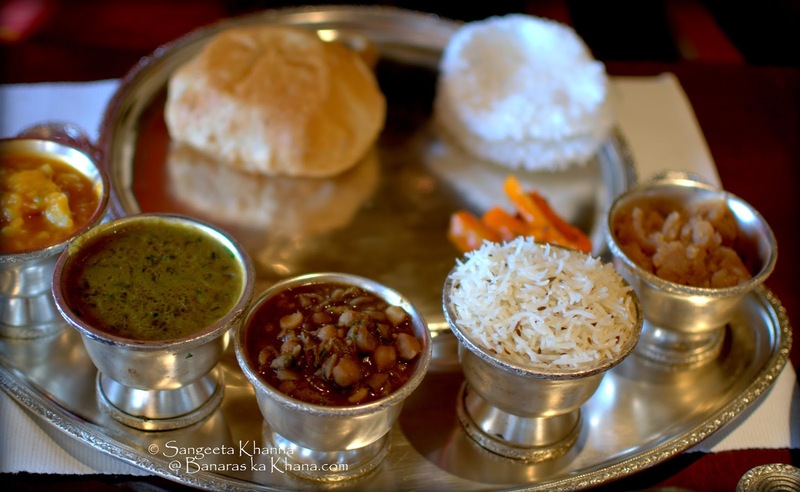 Masala art will be doing this Temple cuisine thali every Navratra and one can enjoy these traditional meals without onion and garlic twice a year. They serve bengali kosha mangsho, bhetki paturi, chingri malai curry etc as well in their seafod thali and nonveg thali during Navratras. Bengalis eat all kinds of foods outside the puja pandal so it makes sense. And then I was back home after a generous dose of temple cuisine into my system. I had eaten so much I skipped the dinner that day and breakfast the next day. But when I got hungry, I wanted ganne ka ras. The closest I could do is gur ki shikanji and that is what I did. Boil 1 tbsp of grated fresh ginger root and a handful of tulsi leaves in a liter of water. Turn off the gas as soon as the water boils. Cover and let it cool. Strain the infusion when cold. 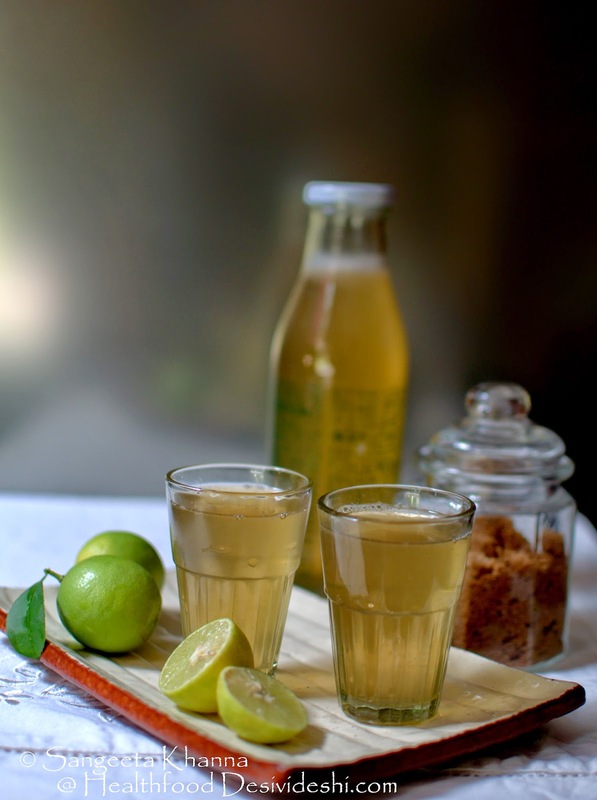 Add 3 tbsp of fresh lime juice and 2 tbsp of natural unbleached sugar or grated jaggery to the infusion and dissolve well. Serve with or without ice cubes. 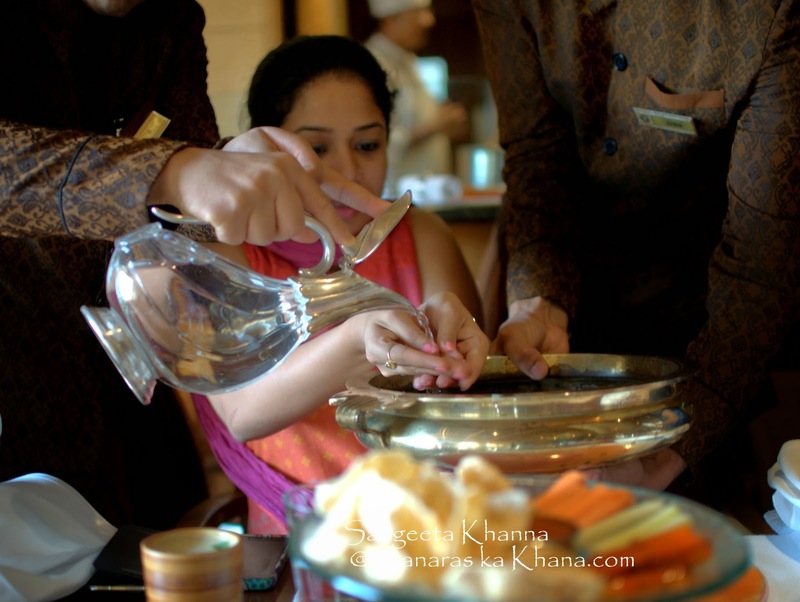 I still had a mild throat infection so enjoyed the gur ki shikanji at room temperature. You can even have this infusion warm if you want to have it in winters. Gur ki shikanji would be a nice adrak tulsi ki chai in that case.